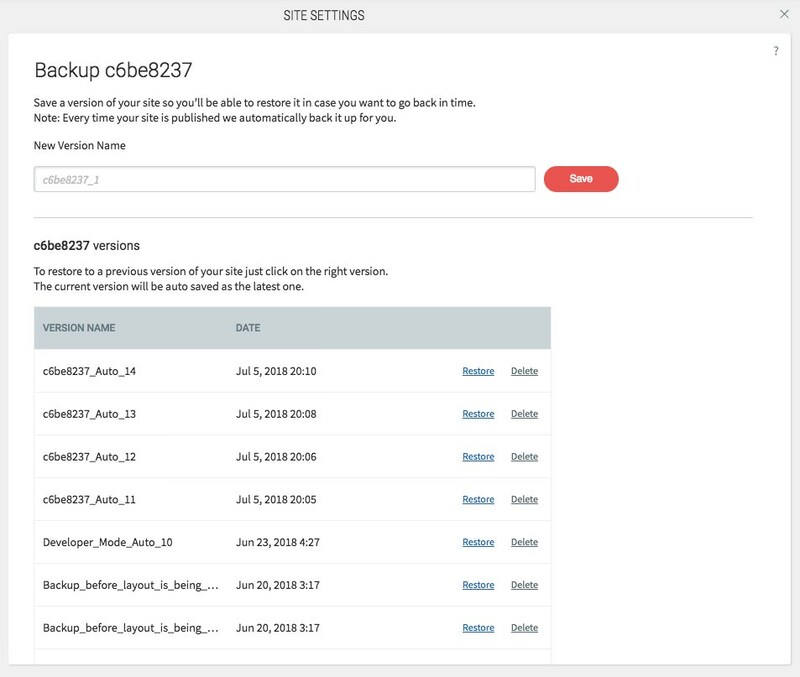 The Without Code site editor makes it easy to save a site backup; this will give you the ability to restore back to an older version of your site. The site editor also creates automatic backups when you publish, add/remove multi-language, or access developer mode, but we suggest you do manual backups before and after important edits in the unlikely case an automatic backup fails. Note: the editor has a limit of 10 manual and 10 automatic backups so the oldest backups will eventually get bumped for new ones. To manually save a backup, click on Settings in the left menu. Enter a name in the “New Version Name” and click save.